Star Wars Battlefront 2‘s new mode, Capital Supremacy, is an absolute blast. This game mode is exactly what Star Wars Battlefront 2 has needed for quite some time. With modes like Heroes vs. Villains and Galactic Assault growing stale, the game has lacked something new and exciting for far too long. Thankfully, with Capital Supremacy, this is no longer the case. If you played the original Star Wars Battlefront 2 back in the golden age of PS2 games, you will no doubt remember Galactic Conquest. Players have been requesting a version of this mode for EA’s new Star Wars Battlefront 2 since before the game even launched. In my opinion, Capital Supremacy is the closest thing we will get to that. It features large-scale ground combat and even has a transition phase where you board an enemy Capital Ship, then try to blow it out of the sky by sabotaging certain critical systems on board. For the ground portion of the new mode, here is where anyone who ever played Galactic Conquest will undoubtedly feel at home. The inclusion of Command Posts brought back nostalgia that I haven’t experienced since I last played the original Star Wars Battlefront 2 on my PS2. 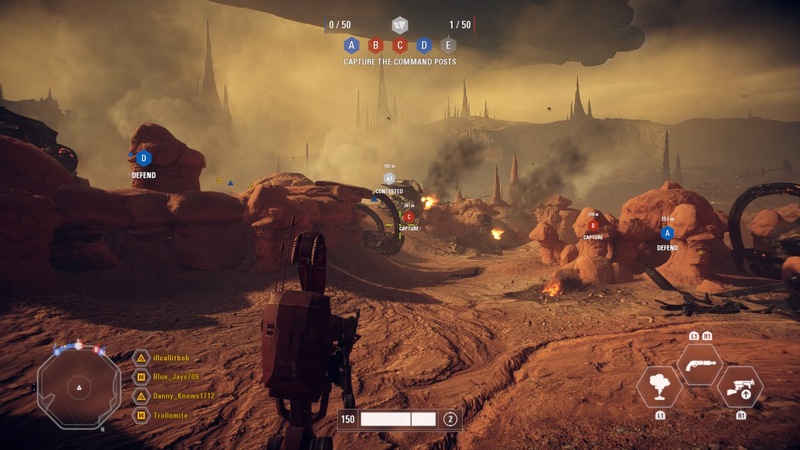 Capital Supremacy’s only map, Geonosis, is better than Galactic Assault’s version of Geonosis. It doesn’t feel quite as big, but it has better gameplay overall. With the objectives’ spacing in Capital Supremacy, there is a better flow to the combat throughout the match, because you don’t spend as much time running across a giant map. It’s also extremely rewarding to grab any of the Heroes and rush a Command Post, clearing out enemies with ease, thanks to Star Wars Battlefront 2‘s lightsaber combat update. The thing I love most about Capital Supremacy is how immersive the whole mode feels. Since this mode is set during the Clone Wars, the addition of the Infiltrator class was a very nice touch. The Galactic Republic’s Arc Trooper feels amazing to use, with its dual-wielding capabilities. The Separatists’ BX-series Commando Droid looks amazing and makes use of a vibrosword. Need I say more? The new reinforcements really round out what is an already great game mode, making Capital Supremacy feel unique. Another detail I noticed is that the Separatists’ vehicles are outfitted with a nice new blue coat of paint, to keep things canon accurate. Also, any time you switch battle phases, there is a cut-scene which plays to adds to the feeling that the battle is building in scale. You can really tell that EA and DICE worked hard to make Capital Supremacy as cinematic as possible. I am hopeful more maps will be added into the game mode over time. What maps would you like to see added into Capital Supremacy? Let us know in the comments!